DRDO's indigenous combat drone Rustom-2 takes first flight near Bengaluru on 16th November. 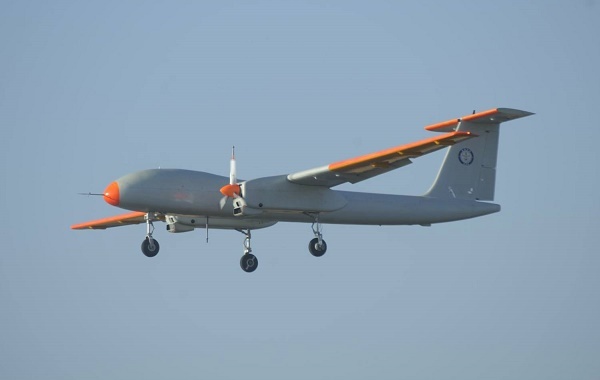 Rustom-II is the name given to the indigenously developed UAV that was successfully tested by the Defence Research and Development Organisation (DRDO). The maiden test flight of Rustom-II was undertaken from Aeronautical Test Range (ATR), Chitradurga, 250 km from Bangalore, which is a newly developed flight test range for the testing of UAVs and manned aircraft. The flight accomplished the main objectives of proving the flying platform, such as take-off, bank, level flight and landing etc. It is worth mentioning that Rustom-II has been designed and developed by Aeronautical Development Establishment (ADE), the Bangalore-based premier lab of DRDO with HAL-BEL as the production partners. It has been developed to carry out the Intelligence, Surveillance and Reconnaissance (ISR) roles for the three Armed Forces with an endurance of 24 hours.